The financial analyst job description below gives a typical example of all the skills, education, and experience required to be hired for an analyst job at a bankBanking (Sell Side) CareersThe banks, also known as Dealers or collectively as the Sell Side, offer a wide range of roles like investment banking, equity research, sales & trading, institutionBuy-SideInstitutional asset managers, known as the Buy Side offer a wide range of jobs including private equity, portfolio management, research. Learn about the job, or corporationCorporate InformationLegal corporate information about Corporate Finance Institute (CFI). This page contains important legal information about CFI including registered address, tax number, business number, certificate of incorporation, company name, trademarks, legal counsel and accountant.. Read this job description closely to see if you have what it takes to have a career as a financial analyst! To make sure you’re prepared, check out our free financial training courses online! 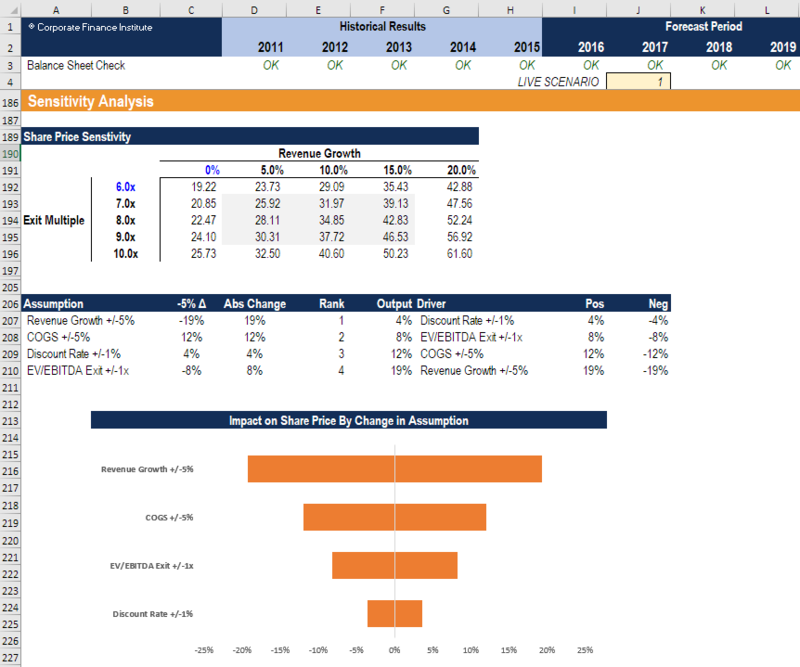 Strong fluency with Excel formulas and functionsExcel Formulas Cheat SheetCFI's Excel formulas cheat sheet will give you all the most important formulas to perform financial analysis and modeling in Excel spreadsheets. If you want to become a master of Excel financial analysis and an expert on building financial models then you've come to the right place. To make sure you’re prepared, check out our free financial analyst courses online! The financial analyst position is imperative to the financial planning and analysisFP&A AnalystBecome an FP&A Analyst at a corporation. We outline the salary, skills, personality, and training you need for FP&A jobs and a successful finance career. FP&A analysts, managers, and directors are responsible for providing executives with the analysis, information they need to make operational, strategic decisions department of a business. They are responsible for analyzing financial statementsAnalysis of Financial StatementsHow to perform Analysis of Financial Statements. This guide will teach you to perform financial statement analysis of the income statement, balance sheet, and cash flow statement including margins, ratios, growth, liquiditiy, leverage, rates of return and profitability. See examples and step-by-step instruction and inspecting and predicting future performance of the company. This may include forecasting future revenuesRevenueRevenue is the value of all sales of goods and services recognized by a company in a period. Revenue (also revered to as Sales, Turnover, or Income) forms and expenditures, as well as modeling capital structure and budgeting. Financial analysts are also often responsible for keeping track of a company’s financial plan. Analyzing the company’s performance, alongside changes and market trends, not only helps the analyst create forecasts, but also allows the analyst to calculate variances between those forecasts and actuals. It is the analysts’ job to track down and explain the causes of these variances. Analysts may also often report to management and stakeholders regarding their findings and may contribute to shaping the strategic planning of the company. To make sure you’re prepared, check out our free financial analysis courses online! Financial Analysts play a role in determining a company’s present value and future business abilitiesBusiness Valuation CertificateOur business valuation certification is earned by completing our online course and learning how to value a company. The certificate is verified by CFI.. The duties of the financial analyst revolve around analyzing financial information to come up with forecasts for a business and help it make informed, and therefore hopefully correct, decisions. 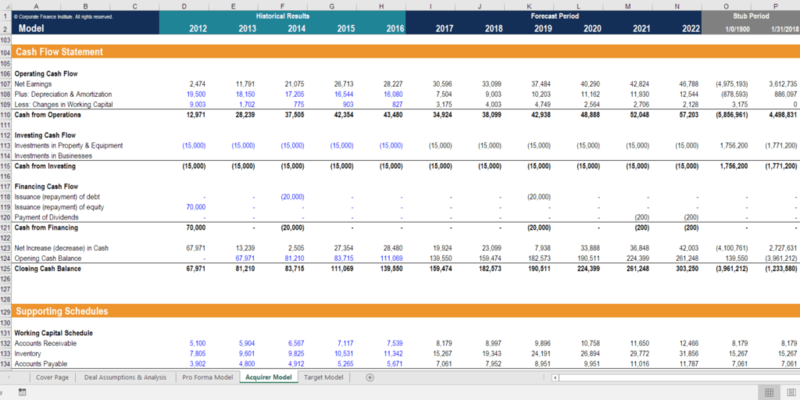 Analysts will often create and maintain various spreadsheets and dashboards to aid in their analysis and insight provision. This helps provide a clear interpretation of trends and data. Some analysts are also tasked with creating models to value potential investment opportunities, similarly to the roles of an equity research associate. In-house financial analysts may meet with various project managers to discuss performance. It may be the duty of an analyst to interview these managers to ascertain the causes of certain variances of performance. What are Typical Credentials for Financial Analysts? Most analysts have a bachelor’s or master’s in a business-related field. The most common specialization is in finance, although some analysts recommend starting with an accounting degree, as it provides a stronger foundation for analyzing the workings of the financial statementsThree Financial StatementsThe three financial statements are the income statement, the balance sheet, and the statement of cash flows. These three core statements are intricately linked to each other and this guide will explain how they all fit together. By following the steps below you'll be able to connect the three statements on your own.. Adding a practical designation, like CFI’s Financial Modeling & Valuation Analyst (FMVA)™FMVA™ CertificationThe Financial Modeling & Valueation Analyst (FMVA)™ accreditation is a global standard for financial analysts that covers finance, accounting, financial modeling, valuation, budgeting, forecasting, presentations, and strategy. certification, is becoming an increasingly popular professional upgrade for a financial analyst. This financial modeling focused designation teaches analysts how to produce advanced financial analysis using Excel, PowerPoint, and the real tools of an analyst. Learn more about the top financial analyst certificationsTop Finance CertificationsList of the top finance certifications. Get an overview of the best financial certifications for professionals around the world working in the field. This guide compares the top 6 programs to become a certified financial analyst from various program providers such as CFA, CPA, CAIA, CFP, FRM, FMVA. This financial analyst job description is inspired by the responsibilities outlined by postings from Goldman Sachs, GE Capital, Fidelity Investments and PricewaterhouseCoopers. To make sure you’re prepared for an interview, check out CFI’s free financial analysis courses online! To see what type of position you’re best suited for, explore our interactive career map and see if you’ve got everything this financial analyst job description is looking for! Financial analyst bank jobs include investment bankingInvestment BankingInvestment banking is the division of a bank that serves governments, corporations & institutions, providing underwriting (capital raising) and mergers and acquisitions (M&A) advisory services., research, sales & trading, and commercial bankingCommercial Banking Career ProfileA Commercial Banking career path is providing clients with credit products, term loans, revolving lines of credit, syndicated facilities, cash management. Institutional jobs include private equityPrivate Equity Career ProfilePrivate equity analysts & associates perform similar work as in investment banking. The job includes financial modeling, valuation, long hours & high pay. Private equity (PE) is a common career progression for investment bankers (IB). Analysts in IB often dream of “graduating” to the buy side,, research, and portfolio management. Jobs at corporations include investor relations, corporate developmentCorporate DevelopmentCorporate development is the group at a corporation responsible for strategic decisions to grow and restructure its business, establish strategic partnerships, engage in mergers & acquisitions (M&A), and/or achieve organizational excellence. Corp Dev also pursues opportunities that leverage the value of the company’s business platform., treasury, and financial planning and analysis (FP&A)FP&AFinancial Planning and Analysis (FP&A) is an important function at a corporation. FP&A professionals support executive decision making for the CEO, CFO and Board of Directors with planning, analysis, and modeling. Learn what the job of an FP&A analyst, manager, or director entails - salary, requirements, education, skills. Hopefully, this guide has given you a clear indication of the job requirements and profile for financial analysts. CFI is the official provider of the global Financial Modeling & Valuation Analyst (FMVA)™FMVA™ CertificationThe Financial Modeling & Valueation Analyst (FMVA)™ accreditation is a global standard for financial analysts that covers finance, accounting, financial modeling, valuation, budgeting, forecasting, presentations, and strategy. certification program which is designed to help anyone become a world-class finance professional.